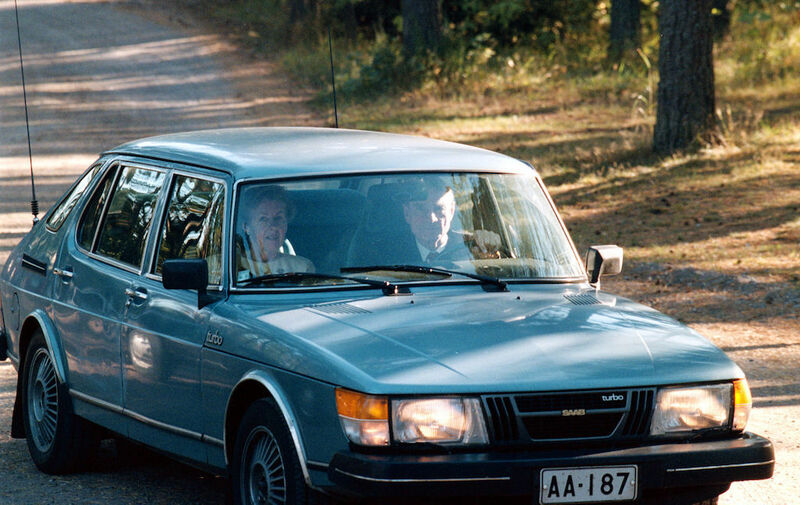 This 1980 Saab 900 Finlandia Turbo was the official car of Mauno Koivisto as President of the Bank of Finland. At retirement, he redeemed it for himself. The car was owned by Koivisto until 2002, when it moved to the automobile museum (Turun Sanomien Auto- ja viestintämuseo, Pläkkikaupunginkatu 29, 20320 Turku).